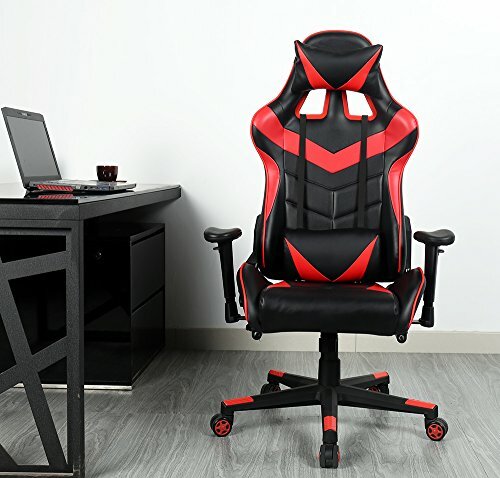 Zenith High Back PU Leather Swivel Gaming Chair with Adjustable Armrest Lumbar Support Headrest Racing Office Chair (Red) by Zenith at RVTE. MPN: unknown. Hurry! Limited time offer. Offer valid only while supplies last.